Adding themes and topics to your marketing messages get more attention, encourage sharing, and add more reasons to engage with your audience. Your audience is also more likely to read, share, and talk about your business too! 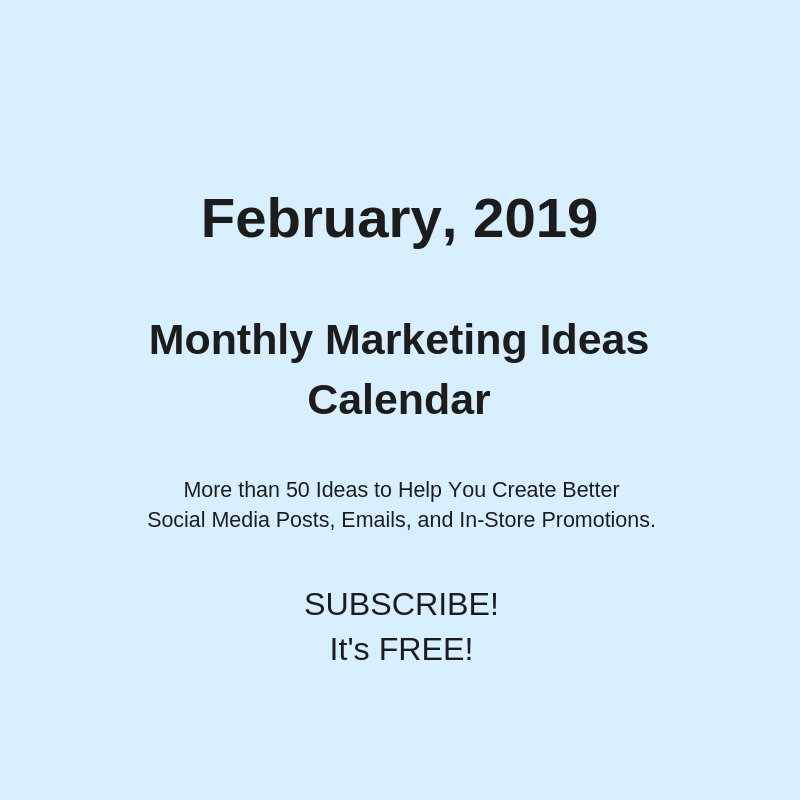 To receive an email every month with a Marketing Ideas Calendar like this one, SUBSCRIBE. Your existing customers are your best opportunity to increase your sales and create predictable cash flow, income, and profit. Build a list and keep in touch. Need help with this?